I'll be showing you step thru step how to make this cool wallet. Step 1: Now to Get Out Your Duck Tape! Step 2: Now to Make the Base! 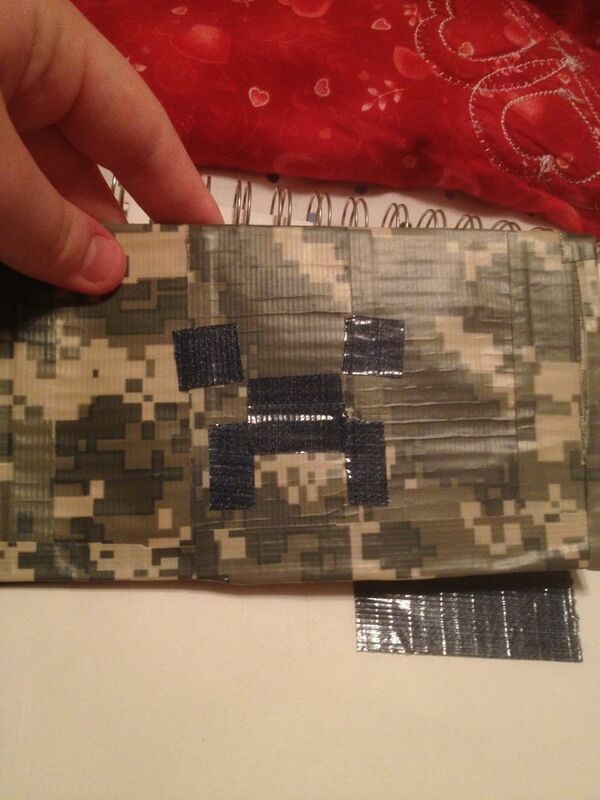 I'm going with a digital camo base. I normally measure by using a dollar bill. About half an inch out from the dollar . Now make three more rows of tape. And square it up. Step 3: Bend It! Add a Pocket! Now we bend it in half. Take the longer finger hole of your scissors and push it down along the crease. Part 2 now add pocket. The length of the un creased end. This pocket is going to be 1 an a half pieces of duck tape. The half piece you fold over . Step 4: Now the Tough Part. Now you will need a business card to measure this clear tape. You make a line of clear tape. Now cut it so everything but the top of the card is cut to 1/4 of an inch around as seen in the photo. Now we will attach all the pockets! First the dollar pocket! I added in the jean tape for detail! You will also want to so this to the little pockets. Now to attach with small pieces of clear tape. You grab the tape And attach the dollar to the base. Now add a little bit of camo over the clear that is left. Time for the business card slots ! Time for the business card slots! You Add the clear tape around the outer rim of the cut out. Now add camo duck tape to hide the clear. Now add a patch of camo to cover the last bit of clear left.